Unlike any other traditional currency or fiat money, bitcoin and the other cryptocurrency are not printed by any public institution or agency. Instead, some of them, like bitcoin, are created through the process of mining. Since this is a new methodology, most of you will find it difficult to understand, that’s why this article will try to make that easier for you. 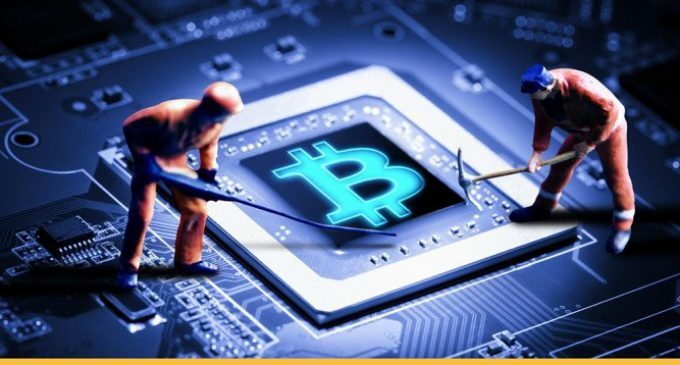 Mining is basically the process which helps to the creation of bitcoins. It was called that way because it has more in common with mining than it has with the traditional money printing. We’ve discussed the process of mining in another article as well, but this time we want to begin by explaining a bit what exactly is a blockchain. Blockchains are basically huge networks of computers that act together as a ledger approving transactions made in bitcoins, for our example. So, if someone sends you money via a bitcoin transaction, all the computers that are currently participating in the blockchain are witnessing that transaction. Computers must then prove that did record the transactions. This is called the proof of work and it is really hard to get. It generally involves solving complex mathematical problems that require strong hardware capacity. Once the proof of work is provided, the computers in the blockchain are rewarded in bitcoins. And basically that is how the bitcoin is created: it is a reward for the processing of a certain number of transactions.